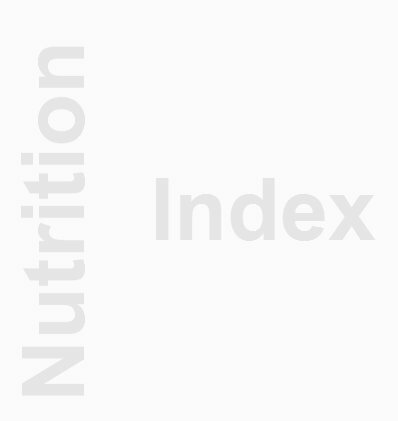 Nutrition Index in a "Nutshell"
Aims to Allow All Dietitians and Nutritionists Globally the Chance to create their own profile page, which will be hosted FREE of Charge by www.medicsindex.com the Medical Profile Index online Since 1995 . As An NI Profile Member, you Are entitled to a full page which will enable you and your patients and clients to interact without any restriction imposed upon your patients to become a part of the Network. NI Nutrition Index is an Open platform for you to promote your professional services, and/or your website, by simply sending your ready profile to nutritionindex@gmail.com and the System will do the rest to Index your profile at Medics Index, Google, And Yahoo without any charges imposed on your behalf. NI will Also Allow you to Place your Current Website banner at your Profile Page, in exchange for the placement of any of our banners around the Medicsindex. - Please provide us also with links to your school collage, community page, and other , all within the same word document you are only needing to email. Happy Indexing ,,,it is Free of Charge Till Offer lasts. All updates and communication Requests must be from the Email you have Created your Index profile With. ملاحظة: جميع التغذويون مرحب بهم للاشتراك معنا مع العلم بان الأعضاء الذين سيسددون قيمة الإشتراك الرمزي و هي 50 دولار سيكون لهم مييزات خاصة. Nutrition Index is a part of Medics Index, the first provider of Medical Indexing for doctors plus other health care professionals, centers and societies in the Middle East. 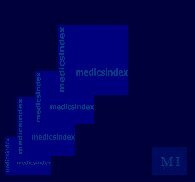 Medics Index is an international firm that was established in 1992 by a group of Arab doctors in the UK, with the Aim to unify a Database of Medics Globally under the Name Medics Index . by getting indexed @ Medics Index, your Full Name, resume, achievements and Contact Details will be available on Public Domain, unlike being bound by a network of Members only, Additionally you will have the privilege to publish medical assays, medical movie clips, and papers just by getting Indexed. Moreover, Any Part of your profile, and/or contact details will be retrieved from medicsindex Database, and made visible when searching almost all search engines like Google, yahoo, etc. At Medics Index & Nutrition Index, your Aim is achieved as Medics Index Does Not entertain any Non Medical Entries, and Only allows the indexing profiles of Doctors and licensed Nutritionists and Dietitians from All walks of life not only in Jordan but Globally, for the sake of achieving better representation of the medical services and better communication with the clients (patients), noting that the client should not necessarily be part of any specific network. Email your Profile to nutritionindex@gmail.com to gain Free indexing placement at Medicsindex, Google and Yahoo for life, the normal registration cost will apply after the promotion is over, as we are currently willing to register the first 100 profiles at the Nutrition Index Free of charge, you are encouraged to include as much information as you wish within your profile, this will increase the Ranking and retrieval probability of your profile, making it a well worth the investment. Copyright Medicsindex - nutrition Index - life Walk - Health Tips All Rights Reserved.